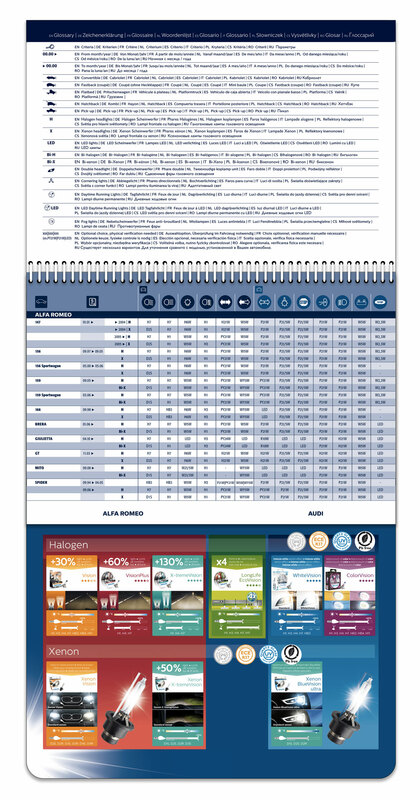 Glossary, inside page and product overview. Handy marketing B2C tool that helps the end customer select the lamp he needs for his vehicle. Exists in a multilingual version (English, German, Dutch, French, Spanish, Italian, Czech, Romanian, Russian). 24V and two-wheeler guides are available as well. May be found in Carrefour, Point Vert and other large stores throughout Europe.